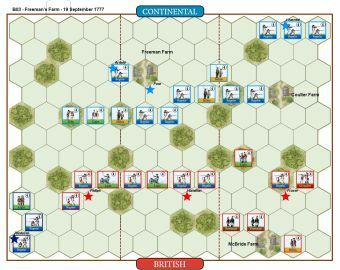 After Fraser was mortally wounded, the British retreated back to their camp. 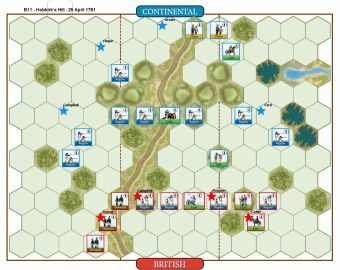 Arnold hearing of the Continental success rode out to join in the pursuit. 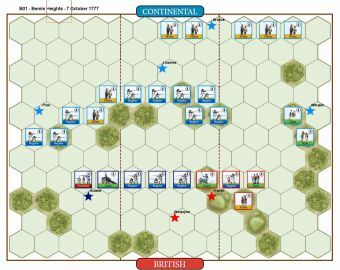 The British had set up two redoubts near their camp, one was defended by Heinrich von Breymann, while the other was under the command of Lord Balcarres. 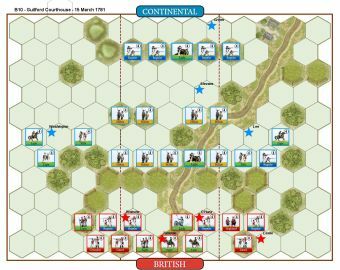 Poor’s Continental soldiers attacked the Balcarres redoubt and Learned attacked the Breymann redoubt, while Arnold led a charge through the gap between the redoubts. 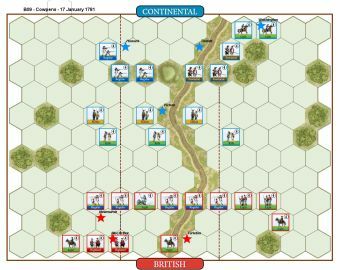 Arnold’s horse was hit and the falling horse broke Arnold’s leg. 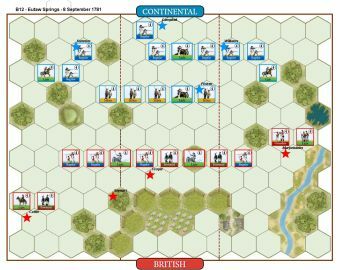 What followed was a furious battle where both redoubts were taken, which forced Burgoyne to withdraw his army to Saratoga. 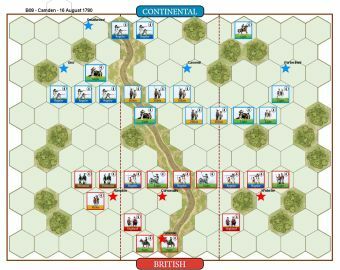 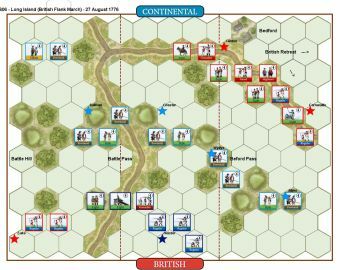 • The Continental player gains 1 Temporary Victory Banner at the start of his turn for each field works hex that is not occupied by a British or German unit. 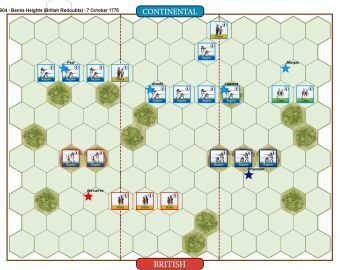 Place a Continental Victory Banner on the hex at the start of the turn when the hex is not occupied. 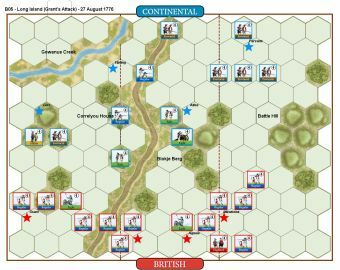 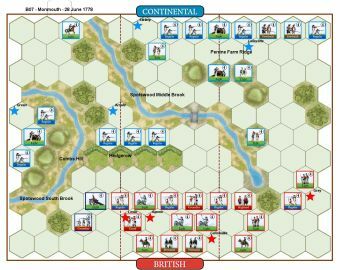 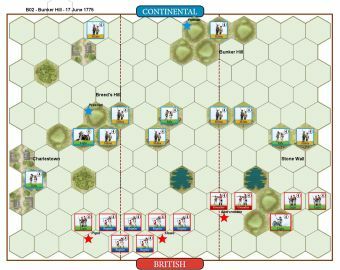 • The Continental and British player will gain 1 Temporary Victory Banner at the start of the turn when the opposition player does not have at least one unit occupying a section of the battlefield.